I don’t know that I’ve ever felt truly inspired, not in the way I imagine other writers are. In fact, the idea of writing as a pass-time was not something that even occurred to me until my fifteen year old sister decided to write a Regency romance. I just copied her. My sister finished her novel, but my ten year old imagination and enthusiasm failed after a few illustrated pages of a small notebook. But the seed - that I could write the book I wanted to read - had been planted. I wrote throughout the majority of my teenage years. I had no romantic life and writing was the only way I could experience the highs and lows of falling in love. My imagination ventured no further than kissing and cuddling, and I never actually finished a book. Alongside art, writing was my major hobby, but I never took the idea of writing as a profession seriously. After all, writers were clever, educated people. Though I’d managed to pass the Eleven Plus, I wasn’t a star pupil at Grammar school. I wasn’t even particularly outstanding in English. I left school at 16 to go to art-college. I stopped writing. My career was in advertising, as an illustrator, but it was a stressful job and after having my son, I very much enjoyed being at home with him. I was ironing when the inspiration - if you can call it that - came to me. Writing a Mills & Boon romance couldn’t be that hard and it was a way to stay at home and earn money (famous last words)! As soon as the ironing was put away, I found a notebook and began, using a couple of events from my own life as a starting point. I finished the book I started that evening (the first time I’d finished anything) and ‘Just Before Dawn’ was published, but not by Mills & Boon. The inspiration to carry on sprang partly from the fact I now felt really proud of myself. I was a published writer. Me! Who’d left school with only 5 ‘O’ levels! The other reason I continued was because the process of writing that first novel was so magical. I’d begun with no more than an initiating concept, a couple of cardboard characters and a setting. The personalities of those characters and the plot which would weave them together into a satisfying story, came from the fiction fairy, filtering down onto the page as if I was simply a conduit. The process hasn’t changed. Inspiration is still a feeble thing. I write because I’m a writer, not because I’m consumed by a white hot need to convert the ferment of ideas from head to page. I have to trawl my memory, unearthing things that have happened to me, things I’ve thought, things I’ve done, things I’ve seen. And of course there are outside influences too. From this mishmash of random ideas comes a moment when I think ... but what if? Even then I can’t claim to have been inspired. The initial process of writing a story is a hard slog. It’s so much easier not to start. Eventually I will screw up my courage, grit my teeth, apply bum to typing chair and, instead of opening up email, Facebook or Twitter, I’ll bring up a blank page. The first few chapters are always a nightmare. I have only the vaguest notion where I’m going or how to get there. Forget analogies like “walking into the mist”. For me it’s like carving granite with a teaspoon, with the additional problem of not knowing the final shape of the sculpture. But what’s this I see galloping over the horizon? Can it be inspiration? Hooray! So far, in my writing career, inspiration has always come to the rescue, arriving halfway through chapter two, or even waiting till chapter three, but never on cue or with a blue-print. It comes with a small revelation, but a promise of more to come, and with its arrival there’s a growing sense of optimism, energy and excitement. Everything before this point has to be re-evaluated. Often I have to rewrite the earliest chapters. Sometimes they’re junked altogether. Often I have to rethink my characters - their weaknesses, motivations and ambitions. But I know it’s a necessary part of the process. I need to go through the mind numbing slog and write something, anything, before I know what I really want to write. I just hope that inspiration continues to ride to my rescue. Gilli Allan started to write in childhood, a hobby only abandoned when real life supplanted the fiction. Gilli didn’t go to Oxbridge, but after just enough exam passes to squeak in, she attended Croydon Art College. She didn’t work on any of the broadsheets, in publishing or television. Instead she was a shop assistant, a beauty consultant and a barmaid before landing her dream job as an illustrator in advertising. It was only when she was at home with her young son that Gilli began writing seriously. Gilli has been a school governor, a contributor to local newspapers, and a driving force behind the community shop in her Gloucestershire village. Still a keen artist, Gilli is currently producing the illustrations for the children’s book about Harald Hardrada, (provisionally called The Tale of King Harald -The Last Viking Adventure) which will be published in 2014. Gilli has had five novels published. 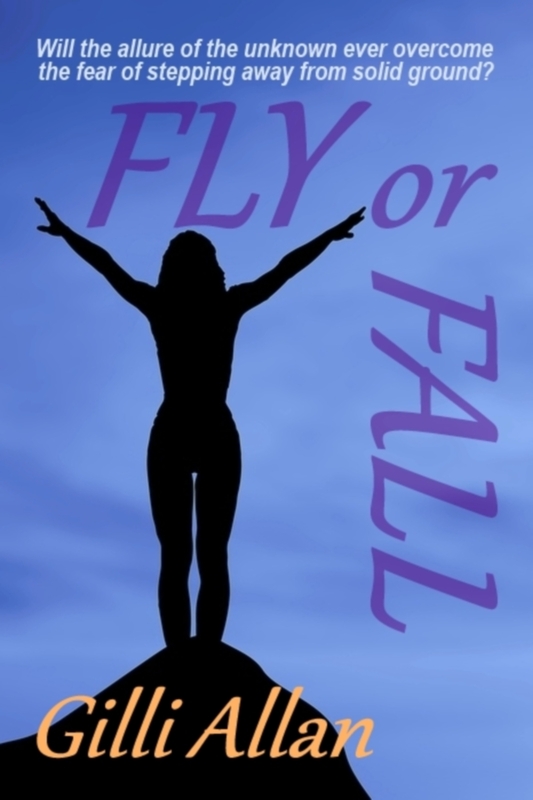 Her latest, published in e-format in September, 2013, is FLY or FALL. 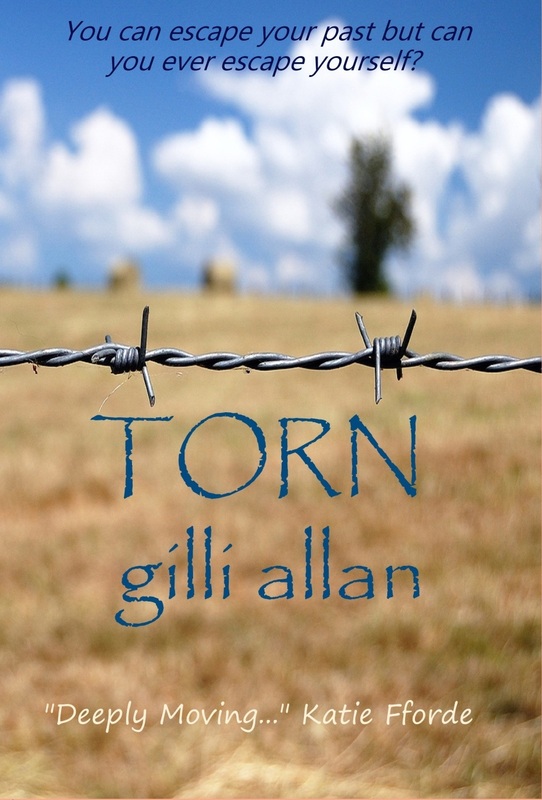 TORN: She may escape her old life but will she ever escape herself? LIFE CLASS: A story about art, life, love and learning lessons. Very interesting, Gilli. I think it so useful when people do lots of different jobs - it can come in so handy when you are writing. Lots of luck. Thanks Suzy. My waffling tendencies are legendary. I agree with you, Margaret, although I haven't had a proper job for some years! I'm currently engaged in a big illustration commission for a children's book, which came out of the blue. Maybe my next book will be about an illustrator having a nervous breakdown. Great post, Gilli. Inspiration to me is that seed sown in your mind by something you've read, seen, or heard. It starts to grow roots that become the basic idea of a story. Then (to continue the analogy! ), it tries to grow upwards through heavy soil - and that's the hard work of actually writing the story! I really enjoyed your honest approach to inspiration, Gilli - so glad you persevered from that first unfinished attempt!